Trying to have a measured, thoughtful discussion about immigration is quite a challenge these days, but the Ministry Forum on Monday night avoided creating any barriers. Instead, the panel looked at the issue from the standpoint of how pastors should deal with it. 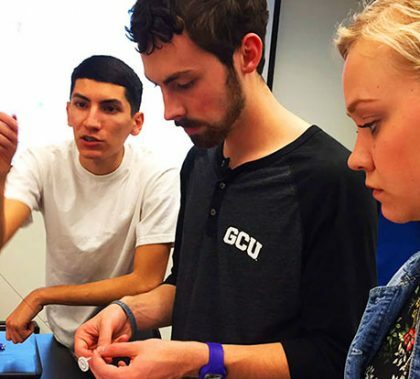 As GCU’s first engineering students enter their fourth semester of classes, they are greeted with a new, hands-on curriculum that makes engineering a lot more fun. Just ask the sophomores and juniors in Dina Higgins’ Statics and Dynamics & Lab class. 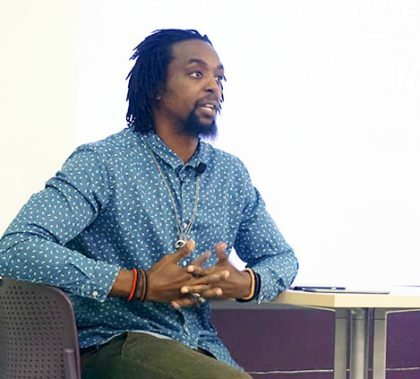 Auditions for TEDx on Saturday provided a good look at why the March 2 event at GCU Arena figures to be so impressive. 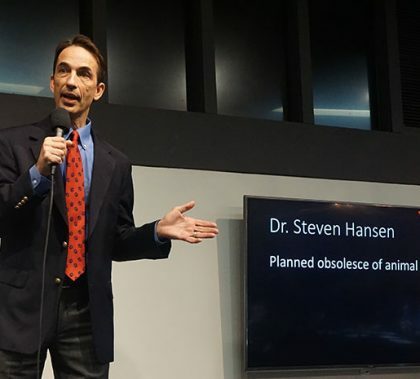 TED is a nonprofit that spreads concepts using short, powerful talks, and TEDx is a way of presenting such talks. Student organizers hope to make this the largest TEDx event in Arizona history. Brian Mueller, GCU president, has been named chairman of the Grand Canyon Education Inc. Board of Directors. 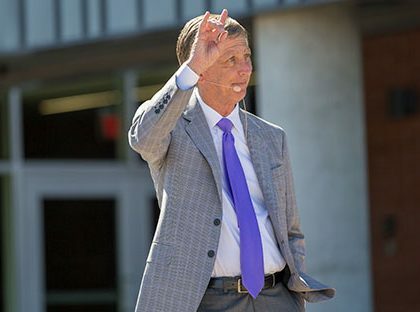 “Brian’s vision and leadership have transformed GCU into a vibrant university with a solid financial model that is having a tremendous impact in our inner-city neighborhood,” said Sara Dial, Lead Independent Director. More than 30 superintendents, 400 community leaders and guests gathered inside GCU Arena for the 2017 School Connect Summit, a collaborative conversation about engaging and supporting schools in the Valley. 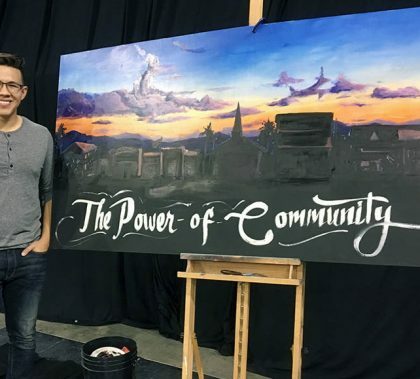 A highlight of the event was when President Brian Mueller discussed the value of community and how it shaped the success for one GCU sophomore who went from surviving to thriving. Every year, the race starter for the GCU Foundation Run to Fight Children’s Cancer is a superhero who has valiantly fought the disease. The 2017 starter, 6-year-old Jace Hyduchak, is no different, and his parents, George and Ann, also have responded heroically, too. 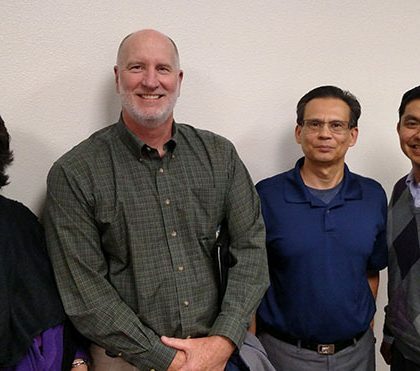 When Ahmad Saleem and twins Brad and Brian Scruggs won the Canyon Challenge in 2015 with a startup called Joblyt, it seemed as if they were on their way toward carving out a niche in the home-repair industry. But like so many entrepreneurs, they had to learn the hard way before they got it right. 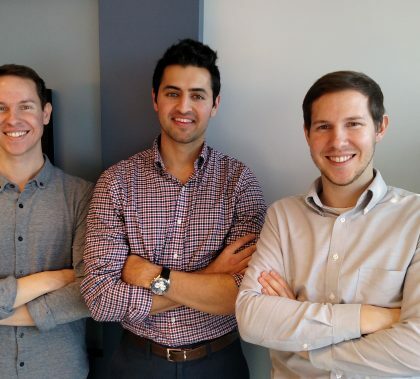 Thanks to a ton of phone calls and a partnership with the Better Business Bureau, the three GCU alumni launched their company — now called Great Pros. When Grand Canyon University competed last weekend in the College Cheerleading and Dance Team National Championships in Orlando, Fla., they did more than just show their skill with strong finishes. 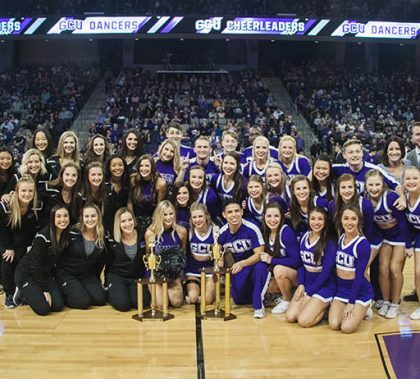 “Other teams tell us all of the time that we are so kind and we love each other — and we do,” said Emily Stephens, GCU director of spirit programs and cheer coach. 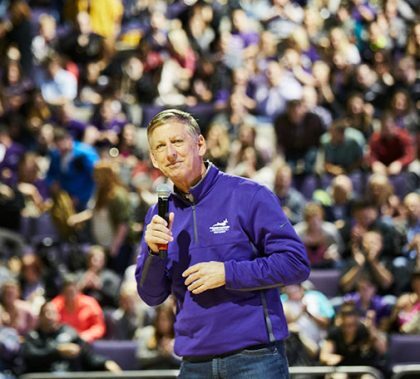 The all-employee meeting Friday contained a lot of facts and figures, all presented by President Brian Mueller with an enthusiasm that befits GCU’s continued advancements. 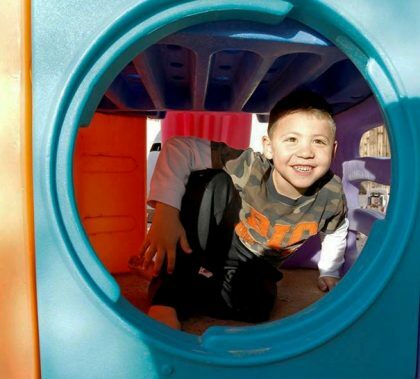 He provided details of the five major site visits by major organizations in the last three months.